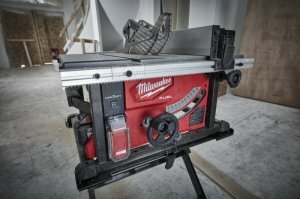 If this were an off-brand making these claims I would be skeptical, but Milwaukee Tool has proven over the years that they don't want to just be competitive, they want to be better than their competition, and this is how you do it. For Milwaukee Tool, it is all about their M18 battery. Over the years, tool manufacturers have done a lot of different things to try and maintain tool and battery compatibility when moving make power-hungry corded tools into cordless tools. Some brands chose to use twice as many batteries, and others chose to use twice the voltage. However, the best solution for the user is to not change anything at all; to use the system they already have. This is not easy though. If it was, all of the manufacturers would have done it. So how does Milwaukee do it? 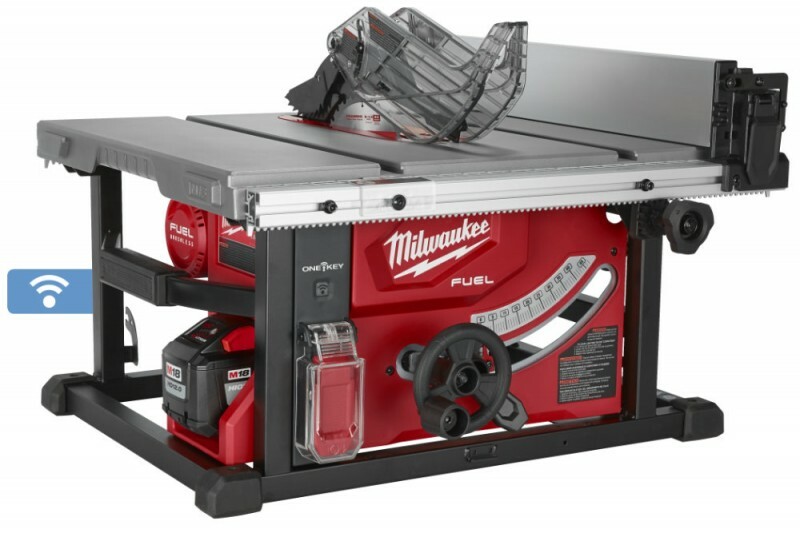 At the core of the new Milwaukee M18 Fuel 8-1/4” Table Saw are the same features we have been talking about for years; the Redlink Plus intelligence system, their Powerstate brushless motors, and their Redlithium battery pack technology. Like Milwaukee has done with their other brushless tools, they created a custom Powerstate Brushless Motor for this table saw, which they say delivers 6300 RPM of cutting speed. When combined with their newly announced High-Output HD12.0 Battery (12ah), it can cut through 600 linear feet of 3/4" OSB material on a single charge. Portability aside, the new Milwaukee M18 cordless table saw is packed full of features that contractors need, like onboard tool and fence storage, tool-less riving-knife and blade guard removal, and even dado compatibility. The saw uses a smaller 8-1/4” blade instead of a typical 10" blade found in corded saws, but it can still handle the most common jobsite tasks of cutting sheet goods, 2x lumber, and millwork. It has a max cut depth of 2-1/2" at 90° and 1-3/4" at 45°. With a rip capacity of 24-1/2” to the right of the blade, the saw is also capable of breaking down full 4x8' sheet goods. Other notable features include a rack and pinion fence system and Milwaukee's One-Key tool management system. The use if a rack and pinion gear system for the fence ensures that both ends of the fence remain accurate even after the saw gets banged around. This is a feature I wish more manufacturers would adopt. The One-Key management system allows users to control certain aspects of the saw using the One-Key app and a smartphone. Users would be able to track tool usage, track jobsite location, and even control who has access to use the saw and lock out everyone else. This is a great feature that makes the saw useless to thieves. 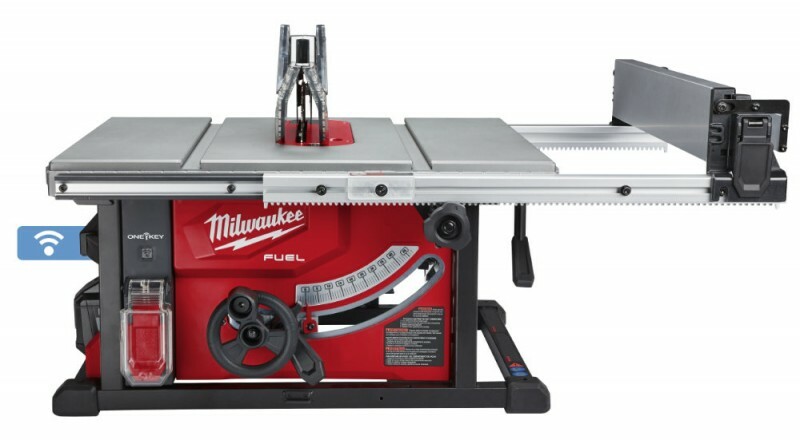 Available July 2018, the M18 Fuel 8-14” Table Saw Kit (2736-21HD) will include an M18 Redlithium High Output HD12.0 Battery, Multi-Voltage Charger, and General Purpose Blade. The kit is set to retail for $549. An optional stand will cost $79. A tool-only option will be available in January 2019.